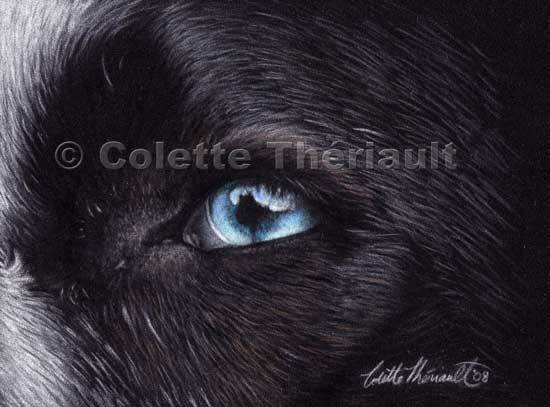 Rilee, a husky, German shepherd, border collie mix, had the most beautiful eyes. One was a rich russet brown while the other was icy blue. I painted this special gift for her owner when I learned she had passed away after a long battle with cancer. Rest in peace sweet Rilee Lynn.